Nothing says “I love you” quite like a home-cooked meal. And nothing elevates a home-cooked meal quite like the addition of a few carefully chosen spices. 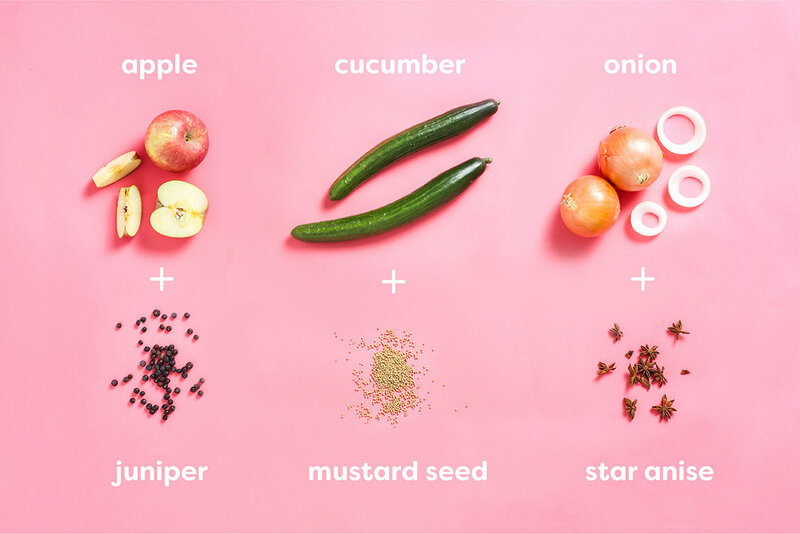 We know the world of spices can be a bit intimidating, so in honor of Valentine’s Day, we wanted to share a fun guide to some of our favorite flavors that love each other. Your spice rack and Imperfect box are about to embark on a very special - and delicious - relationship. Tip: For all the spices below, try using whole seeds instead of pre-ground. They will have more flavor and last longer, so you can enjoy more of their flavor with less waste. Cinnamon: Perhaps the most iconic sweet spice out there, cinnamon is usually paired with its obligatory sidekick: apples. While apples and cinnamon are great, it’s also delightful with citrus in festive Valentine’s Day cookies. We also love cinnamon alongside stewed, poached, or roasted pears. It’s the ultimate warming winter dessert! Cloves: While cloves can get shoehorned into the pumpkin spice department, we think that pungent cloves are some of the most versatile sweet spices out there. Cloves and oranges pair wonderfully in a hot toddy. If you eat meat, both cloves and citrus are great ingredients along braised pork or roast duck. Star anise: While it has a stellar shape and an undeniable licorice sweetness, star anise isn’t just limited to mulled beverages and desserts. Try throwing a star anise pod in your next batch of caramelized onions or French onion soup! You’ll be amazed by how savory it makes the onions. Black pepper: It’s on most tables already, but black pepper’s true potential is literally hiding in plain sight. Try buying, toasting, and grinding whole peppercorns (use a coffee grinder or mortar and pestle) to see what we mean. Our favorite combo is pairing black pepper’s astringency and heat with the tart and aromatic flavors of lemon in a salad dressing, marinade, or as a way to finish a dish. Freshly ground black pepper and lemon (juice or zest!) is also the ultimate way to make your next batch of roasted veggies pop. Dried chilis: The biggest misconception about dried chilis is that they only add heat to a dish. Good dried chiles add fruity, nutty, and earthy flavors as well. Since they last for months in the pantry when stored properly, they’re a perfect item to stock up on to keep your veggies interesting all year long. We love the combo of fresh lime juice and dried chiles in a marinade, as well as in warming soups. Mustard seeds: Mustard is so much more than that yellow jar in your fridge. Mustard seeds are an excellent spice that’s a great addition to a vinaigrette. They also pair especially well with cucumbers. Try adding a handful of mustard seeds, a bay leaf, and some fresh dill to your next batch of pickles and you’ll know what we mean! Cumin: Cumin provides an earthy base note to Indian, Mexican, Middle Eastern, and North African dishes. We love sauteéing cumin seeds alongside tomatoes as the base of any stew or chili. They also pair well with the other herbs on this list, like coriander and cinnamon. Coriander: Coriander is a great supporting cast spice. It adds a floral, lemony tang that unlocks a new depth of flavor in most vegetables and herbs. While coriander is especially good with cumin in a dressing or marinade, our favorite pairing is coriander seeds and citrus zest in a hearty curry. Juniper berries: Our favorite unknown spice! While juniper berries are the secret flavor behind the magical taste of gin, their potential doesn’t end with cocktail hour. Juniper berries add a zesty, earthy, herbaceous tang that we love with apples in desserts and as the secret ingredient in delicious braised cabbage. Can’t get enough must-try food pairing ideas? Check out this post about fun pairings to make on Galentine’s or Valentine’s Day! Feb 13 When Are Avocados in Season?